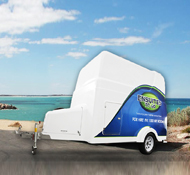 Mobile bathroom have proved to be an innovative luxury for the guests attending your house for a wedding function or a party. This will prevent them for standing in long queues for the washroom facilities. 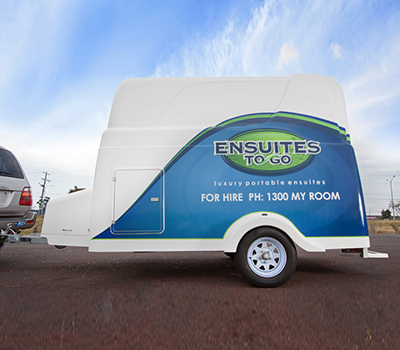 Your guests can take their own time and convenience in using the lunxury mobile ensuites offered by us. 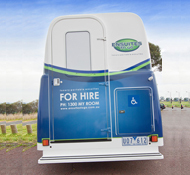 Water facility, electricity facility and cleanliness are the major features of these convenient mobile bathrooms. Entire maintenance work will be taken care of by our team so that you need not to worry about any aspect while taking our luxury ensuites to hire services. The mobile bathrooms are very easy to place. All you need to do is select the convenient location where your guests can easily access the bathroom. 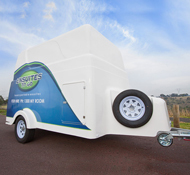 A flat surface and a clean area are all what is required for installation of these mobile bathrooms. If you are planning to host a kid’s party at your home, you need not construct the new washrooms for them. If you have an idea about the total number of guests, you can calculate the total number of bathrooms you would be requiring to accommodate them.